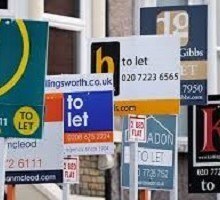 Own A Buy-To-Let or Holiday Property? Here’s How Self-Contained Shower Units, Can Save Costs & Keep The Rental Income Flowing…. How do you refurbish a bathroom shower that is either damaged, overly mildewed, or otherwise unsightly, both quickly and on a cost effective basis? In the past, property owners and letting managers were forced to purchase acrylic or stone shower trays; shower valves or electric shower units, tiles, grout plus various plumbing sundries and all at great cost too. This is why the many shapes and styles of self-contained shower cabins available through Smart Price Warehouse, makes all of those challenges disappear with our cost effective units and infinitely easier installation process. Save Money, Time, and Headaches! Our many designs of self-contained and free standing showers, also help to hide those old cracked tiles, hard water stains, mould and mildew with a less expensive solution, that completely installs within a single day. There is no need for fixings to the walls or floor, fillers or grout because our innovative shower cabin alternatives, are in the main self-sealing units with a minimum of silicone required. Find New Tenants and Rent Holiday Homes Quicker! Landlords know well that the kitchen and bathroom are the most important rooms in the rental property. If these rooms are unsightly or unappealing, the property may remain vacant for a much longer time frame. Or worse, you may be forced to rent to tenants who are less likely to take care of your property once they move in. If the existing shower enclosure tiles, grout, and porcelain is cracked, chipped or stained, chances are that the entire bathroom will need to be refurbished from top to bottom. Less Refurbishment With A Shower Cabin! When you choose to replace that old shower enclosure with a Smart Price Warehouse self-contained shower cabin, you no longer have to worry about refurbishing the entire room, as the wall space behind the new shower cabin won’t be seen. So no need to repaint or tile in those areas and if you choose the right size shower cabin, this will also hide the previous footprint of the old shower system, saving you additional money on laying new flooring covering too..
Well not just for steam showers, but shower cabins and whirlpool steam showers too…in fact, all types and styles that come under the “free-standing and fully self-contained” category. This ultimate guide, complete with Infographics and images, covers more or less everything you need to know about buying one of these shower units, providing all the facts and exposing all the myths and misconceptions too. So if you ever wondered what the difference was between a shower unit, shower pod and shower cabinet; whether your Combi boiler or Megaflow system would be suitable and what the electrical requirements are, then go have a read of this comprehensive document.